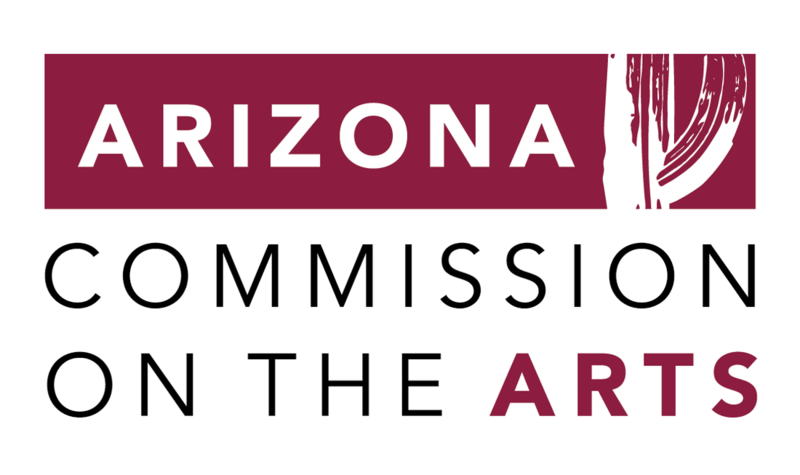 THe mission of the Artists’ Coalition of Flagstaff is to encourage and promote artistic growth and professional development of local artists and to create a forum for the arts within the Greater Flagstaff community and northern Arizona through exhibitions and educational programs. “People’s Choice Award” is based on visitor ballots. The winner will be announced on April 29, 2019. Please remember to vote for your favorite! Artist Registration for the ARTS CONNECTION SPRING EXPO on May 4, 2019, IS NOW OPEN. There are a limited number of spots for this very popular pre-Mother's Day event. Don't delay signing up. 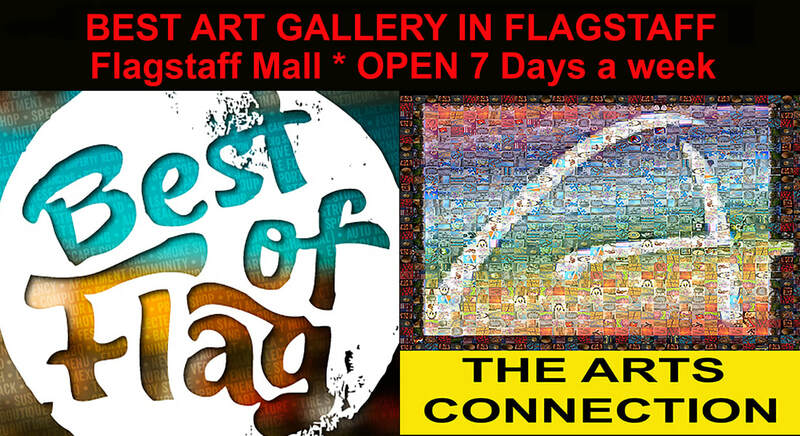 Pins created by Dudley Bacon, Rhonda Davis, Mike Frankel, and Carol Rackley, are on display 7 Days a week at the ARTS CONNECTION, Flagstaff Mall! The news of the passing last December of long time ACF Board member, former Editor of the Newsletter, and former Membership chair, COLLEEN LAYTON has shocked all of the Board and membership, and we extend our deepest sympathies to Colleen's grieving family. If you would like to donate an item to this year’s event please contact Helen Hemmer at helenbhemmer@gmail.com to arrange pick up. Thank you for your consideration and support of this critical service in our city. The Board of Directors and entire membership of the ARTISTS" COALITION OF FLAGSTAFF wishes to extend their deepest sympathy to long time member Carolyn Ramsey on the loss of her dear twin sister Marilyn. The ACF is developing a database of artists/musicians/writers/et. al., for venues at upcoming EastSide Art Xpereince events. (and other requests that we get for talent!) If you would like to be listed, please contact Mike Frankel at (928)522-6969 or acfexdir@gmail.com. This database will allow you to be matched with venues that would like you to display and /or sell your work, have you play your music, or present your writings/poetry at their locations in the future. Lunar Dreams is presented as part of Lunar Legacy, the year-long celebration of Flagstaff’s scientific role in NASA’s Apollo moon missions. We seek art work that celebrates the Moon from a scientific, cultural, and/or personal perspective. This is a crushingly sad time, with the loss of Larisa Aukon and Lyn Matthew, two of the Coalition's favorite artists. Both of these wonderfully talented women had long histories with the group, participating in many events over the years, and curating and coordinating many memorable exhibitions here in Flagstaff. There are no words for the sadness we feel, and our sympathies and heart felt thoughts are extended to their families. We know that their Lyn and Larisa made a difference to so many and that their work will live on to demonstrate to the world their enduring talent and rich lives. Both Lyn and Larisa painted dancers with bold strokes of color. Rather than simply resting in peace, may they are both dance through eternity with the joy and and life affirming spirit that they brought to all their earthly work and lives. It is with tremendous sorrow and sense of loss that we share the knowledge that Flagstaff has lost one of its true talents and warm, caring, thoughtful artists, ROBERT DALEGOWSKI. Not only will Bob's masterful work be missed, the Flagstaff art community is diminished even more by never again being able to experience Bob's humanity, empathy, and inspiring, positive outlook, embodied in both his work, and in the face his many challenges over the years. All who ever knew him were affected by his spirit and amazing artwork, stories, and brilliant, yet so understated banter, and any event or gallery was always enhanced by his presence. His long time membership in the ACF, and participation in Flagstaff Open Studios will be missed not only this year, but in all years to follow. No tribute can do justice to what he deserves, but please rest in peace, Bob, reunited with the spirit of the West that he embraced, illustrated, and lived each day of his life. The Canyons are crying out with their loss and will never be the same without you. THE RESULTS AND STATISTICS ARE IN! 534 out of 2011 total visitors voted for the "THE PEOPLE'S CHOICE" AWARD at the 16th Annual City of Flagstaff Recycled Art Exhibition! That's about one quarter of all the attendees! And the winner is..."CABINET OF CURIOSITIES" By TIM THOMASON,(58 votes) Pictured above with his already awarded" MOST CREATIVE" trophy. and in third place was "Mermaid" by the HOZHONI ARTISTS(37 votes). Thanks to FlagLive for their great coverage of the 16th Annual City of Flagstaff Recycled Art Exhibition!.. Now through April 30th. ARTS CONNECTION Flagstaff Mall! On April 8, 2018, due to the criminally careless set COPLEY wildfire, local artist and longtime ARTISTS' COALITION OF FLAGSTAFF member KEE BAHE'S entire studio, artworks, art supplies and tools were destroyed! Even more tragically, Kee also lost one of his beloved dogs in the conflagration.The Board of Directors of the Artists' Coalition of Flagstaff has created a fund to help Kee begin to restore his artwork and supplies and give him general support. 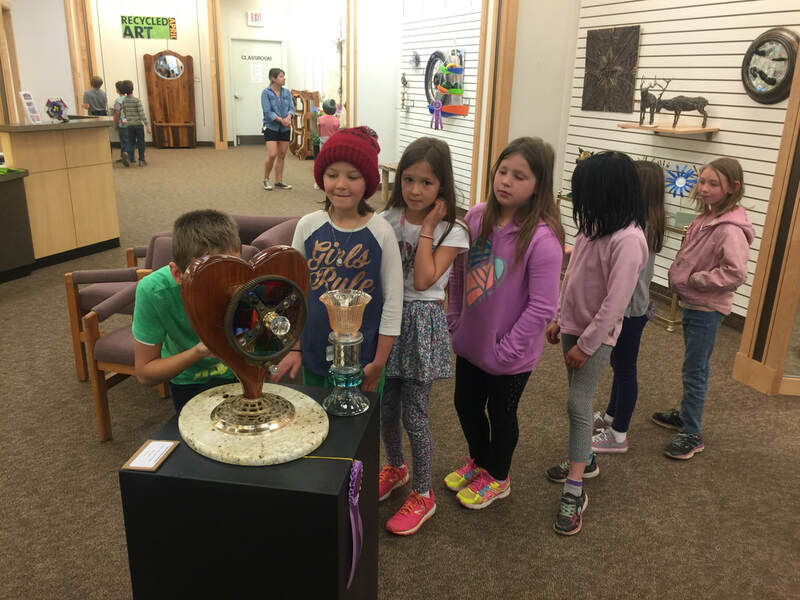 Alternately you can visit the ARTS CONNECTION GALLERY at the FLAGSTAFF MALL 7 days a week, and donate in person. Whichever method you choose, THANK YOU FOR ANY HELP YOU MAY BE ABLE TO OFFER! Pictures and a "Thank You" card from the recent recent visit of Ms. Leatherwood's third grade class from Pine Forrest School to the 16th ANNUAL CITY OF FLAGSTAFF RECYCLED ART EXHIBITION(now through APRIL 30th). 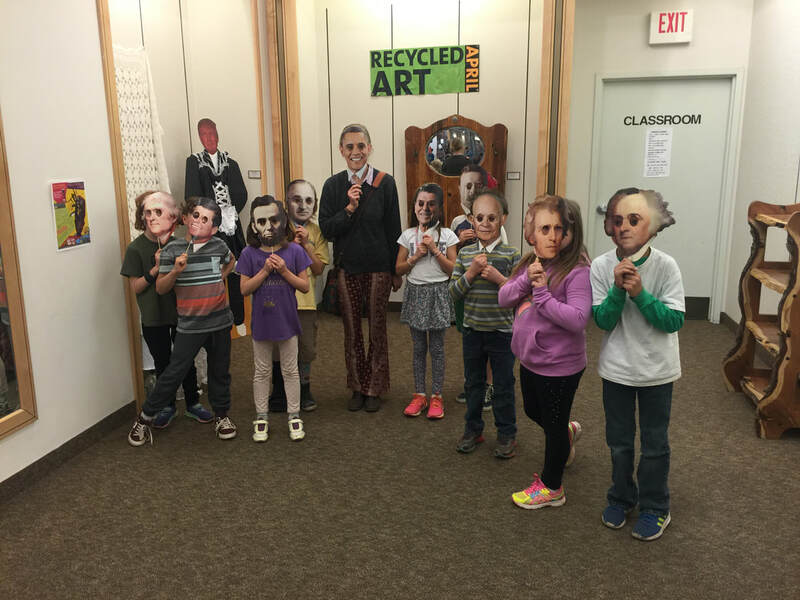 All the students enjoyed the show and were inspired to do their own recycled projects with materials donated by the ACF! 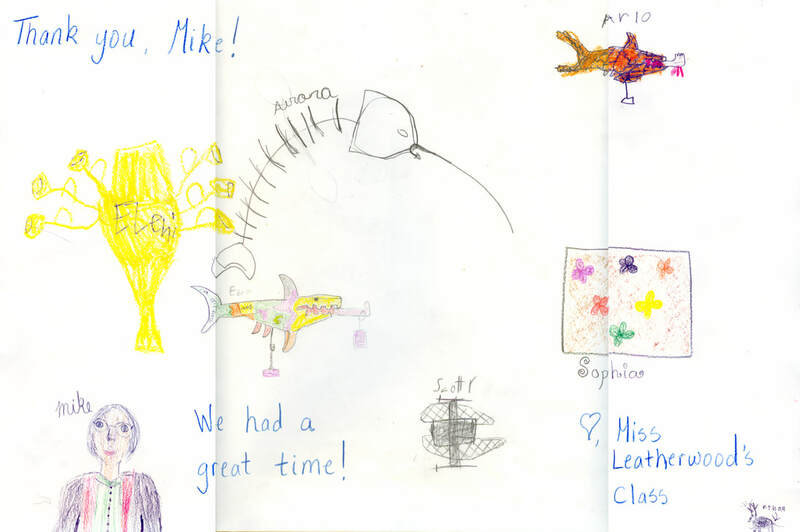 Thanks for the terrific card with the students' drawings of their favorite pieces from the show! THE ARTS CONNECTION IS “THE” PERFECT PLACE TO DO ALL YOUR SHOPPING FOR THE FINEST, HAND MADE, LOCAL ARTWORK IN FLAGSTAFF! The ACF Board of Directors is proud to now offer Aflac benefits to Artists’ Coalition of Flagstaff members. 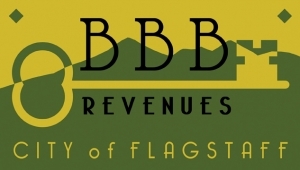 The plans are designed to be affordable and are perfect for Flagstaff residents. Aflac policies are stable and unaffected by the constantly changing "affordable" health care system. Aflac gives you money when you need it. We don't pay doctors or hospitals, we pay you. You can use any doctors you want. No network limits on doctors or hospitals, even Alternative medicine! No deductibles, No copay, No hidden fees. Our policies are transparent & easy to understand. Rates are guaranteed. Your rates won't change - for life. Accident Plan. Pays you when you get into an accident, big or small. Critical Care & Recovery. Covers you for major illnesses. Dental Plan. Rate-stable, easy to understand coverage. Cancer Plan. Best cancer coverage on the market. You choose only the coverage you need - no paying for anything you don't. Please contact Mike Frankel at acfexdir@gmail.com to coordinate appointments or for more information.